Every day my fellow foodies inspire me with healthy versions of traditional sweet treats. I often find myself printing their recipes and adding them to my bursting at the seams recipe folder. But, despite only working part time, I find there are never enough hours in the day to get around to trying out all of them myself. Anyway this recipe is one that I did get around to making. It was inspired by Kathyrn at Season of Plenty. 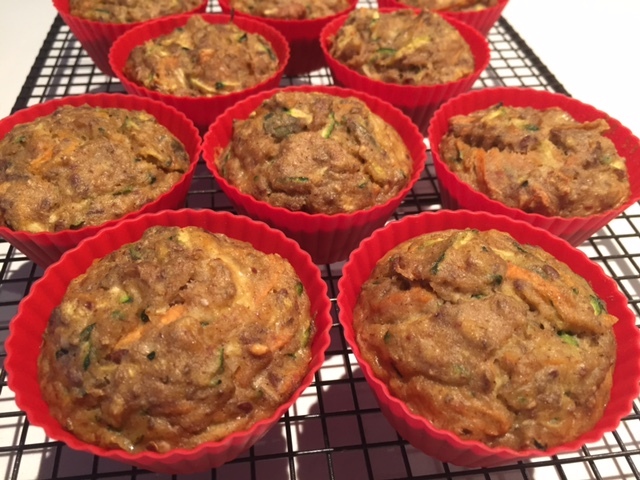 Kathyrn’s blog features ‘Muffin Monday’ – a tribute to all things muffin. 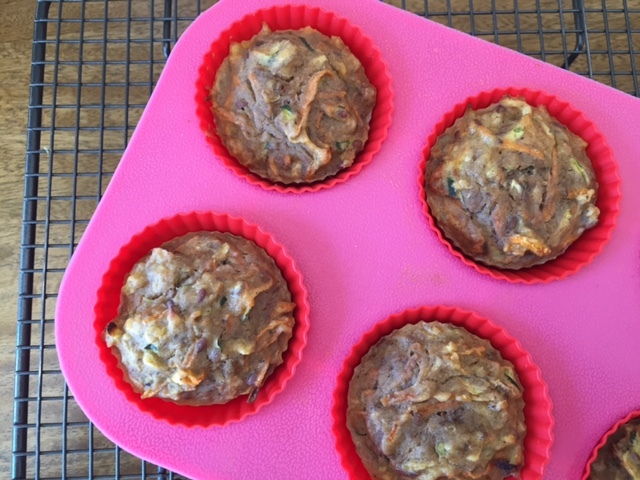 In June alone she posted four muffin recipes, and one of these, her ‘delicious vegan carrot-banana muffins’ caught my eye. What you see here is my adaptation. I added zucchini to boost the veggie content and eggs to boost the protein content. Both of these ingredients also make the muffins super moist. And I gave the muffins a nutty twist by including almond meal and walnuts. These muffins are so versatile – they can be served for breakfast with yoghurt, as snacks for the kids or even as a sweet treat for dessert (with a generous spoonful of creamy homemade vanilla ice cream). Prepare the dry mix – in a large bowl sieve in the almond meal (or flour), then add the baking powder, spice, flax seeds and salt. 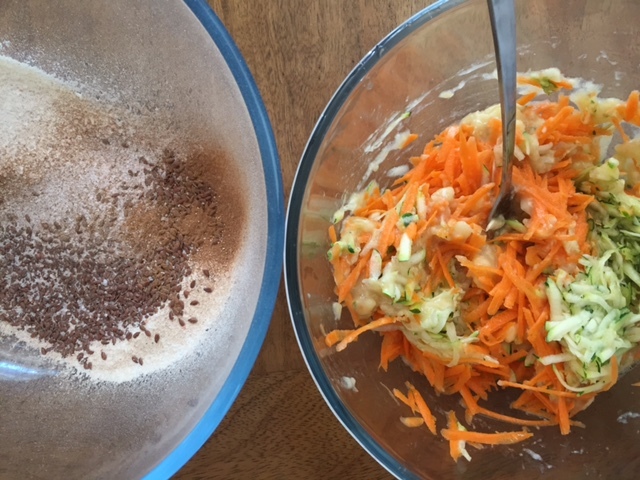 Then prepare the wet mix – mash or blend the bananas into a puree and then mix through the shredded carrot and zucchini (be sure to remove the excess water from the zucchini). Pour in the oil and vinegar and mix again. 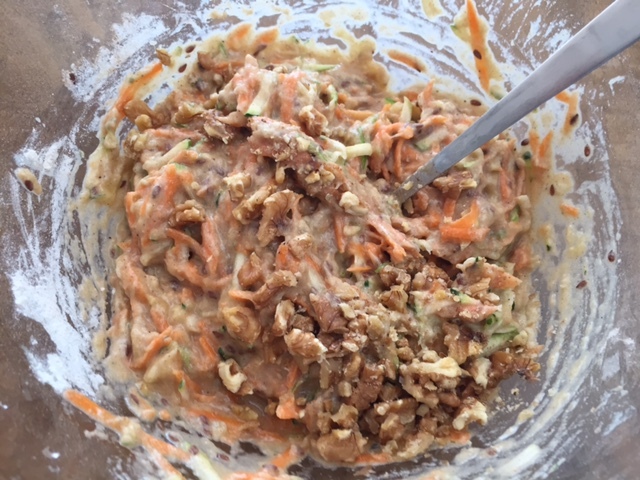 Create the muffin batter – add the wet mix to the dry mix and throw in the walnuts. Combine to create an even consistency. Whisk the eggs well in a separate bowl and gently fold them into the batter. 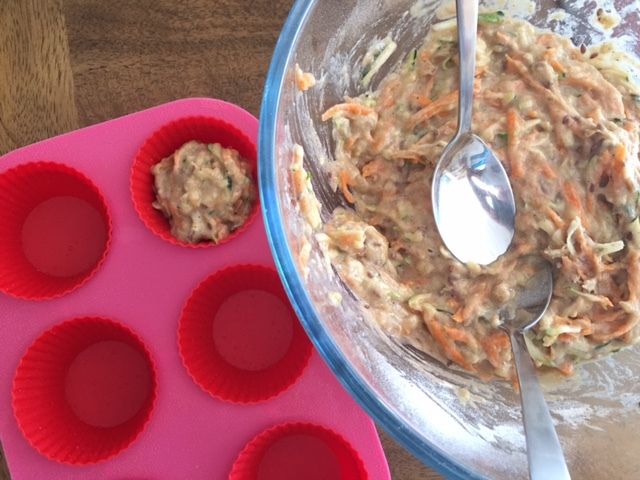 Cook the muffins – using two spoons transfer the batter into a greased and lined muffin pan or individual muffin cases. Bake for 20-25 minutes in an oven that’s been preheated to between 175C and 180C. Remove from the oven and allow to cool. Transfer to an airtight container and consume within two days. Banana bread – gluten free & dessert worthy! 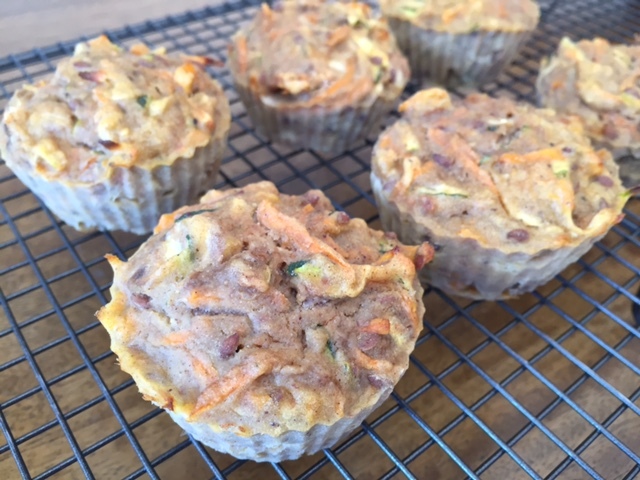 Tags: banana, carrot, easy, gluten free, healthy, muffins, recipe, zucchini. Bookmark the permalink. Previous post ← Banana bread – gluten free & dessert worthy! Thanks Elaine I’m now making a weekly batch so yes they’re a winner…. Thanks Chitra – yes they pair really well and I guess you can always experiment with the quantities of each…. So many veggies! Nom nom nom. Our zucchinis just started coming in, and I have some carrots that I threw in the freezer before I left for vacation … but I’m out of bananas. Maybe I’ll readapt it, ha ha! P.S. We have the same cupcake liners! Perhaps I can ask you then what’s the max temp you can use them at?! I think the max I’ve used them at is 425 F. But I don’t know if that’s THE max. Let me know how you go with a replacement for bananas! It’s been a hectic week with lots of deadlines and a stray tomcat to deal with, so there was no muffin post from me on Monday. Enjoy this one, which has zucchini (of course) in the meantime! 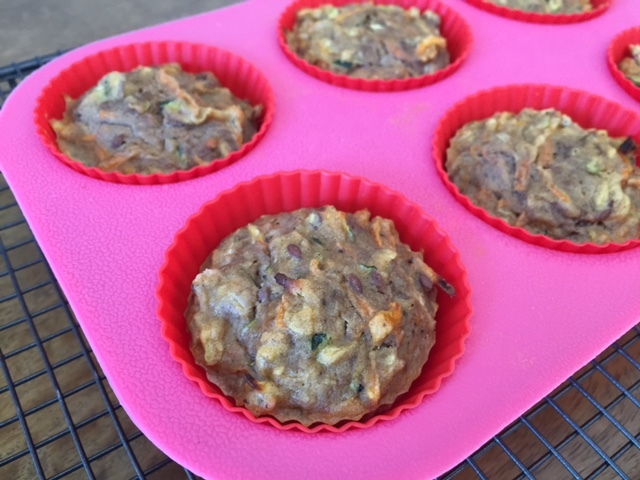 Laura at Feast Wisely did a fun take on one of my fruit-and-veggie muffin recipes where she managed to stuff even MORE veggies into the final product. Go Laura!